Hello and welcome back to another week, if your week starts on a Tuesday. 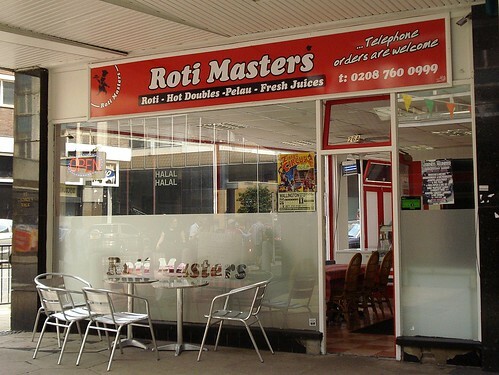 The featured article is Roti Masters, CR0 1YG in Croydon, a halal Caribbean cafe. But are they truly masters of the roti? Visit our reviews to FIND OUT. There are no new articles, but two significant updates. These are to Vanilla Black, an upscale vegetarian restaurant near Holborn, and they can sort out vegans too. It's a lengthy review, so why not dive in? There'a also an update to The Wenlock Arms in Hoxton, which still has all the real ales and some basic pub food. Finally, Suda Thai has moved from Covent Garden to Fitzrovia. I wonder what the Roti King has to say about that. I'm not sure there's all that much rivalry between Trinidadian and Malaysian roti (completely different styles), but the Guyanese takeaway owner I was talking to today reckons his are better than Roti Masters. I will check this out at some point!